(Lincoln City, Oregon) – Another season of the famed Finders Keepers glass float treasure hunt comes to an end soon in the central Oregon coast town of Lincoln City. The final 2015-2016 Finders Keepers float drop is coming up, to be be held on Memorial Day, May 30. This year, over 3,000 colored glass art pieces were hidden on the town's seven miles of beaches, set there by what are called the Float Fairies. Put on the by Lincoln City Visitor and Convention Bureau (LCVCB), director Ed Dreistadt said this promotion always brings thousands of guests to town. This was Dreistadt's first year with the bureau, and he said he is looking forward to its return in October. This season was the seventeenth year of Finders Keepers, which started October 17th, 2015. Aside form a few extreme storm situations, the volunteers called Float Fairies hit those beaches – rain or shine – to hide the hand-made glass art keepsakes sometimes in the vegetation line and always away from the tide. Somewhere in those sandy stretches, beachcombers searched all seven miles of Lincoln City's coastline for brightly colored treasures. The motto has always been “You find it, you keep it,” and that's the prize after the hunt. In addition to regular glass drops, special drops were also done throughout the season for holidays and special occasions, such as Veterans Day when Float Fairies dropped 50 red, white, and blue floats on the beach. And on Valentine's Day weekend when 14 heart-shaped paperweights were dropped to commemorate the occasion. Still more chances to find the coveted glass objects before the season ends do exist, however. These often fall on special holidays. 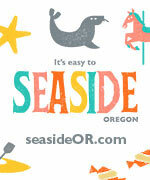 Mother's Day weekend (May 7 and 8), another 100 floats will placed in the sands of Lincoln City. The LCVCB suggests to bring mom along for the perfect bonding experience and beachy adventure. Then, on Memorial Day weekend (May 28 through 30), yet another 100 floats will be dropped and slightly tucked away. That drop will also include a weekend getaway prize package attached to it, which will celebrate the closing of another successful season. Once you find one of these treasures, the fun continues. Guests of Lincoln City can register their float by going to the Visitor Information Center (540 NE Hwy 101) or by calling 800-452-2151. The lucky treasure hunter then receives an autographed certificate of authenticity and a biography on the artist who made it. This past season, 9 glass studios from across the Pacific Northwest created the glass art for Finders Keepers. One of the more increasingly popular aspects of the treasure has been documenting it on social media. Visitors are also encouraged to share their find on Lincoln City's: Facebook by visiting www.facebook.com/LincolnCityOregon, on Twitter using @LincolnCityOR, or Instagram using @lincolncityor. Finders Keepers is an annual promotion, started in 1999, when a local artist first thought of glass floats as an intriguing way to launch the new millennium. Lincoln City sponsored the project, hosting the inaugural season in 1999-2000. Guests of Lincoln City now come from across the country to search for their very own glass keepsake. For more information, contact the Lincoln City Visitor & Convention Bureau at 800-452-2151 or visit www.oregoncoast.org. More about the area below and at the Lincoln City Virtual Tour, Map.